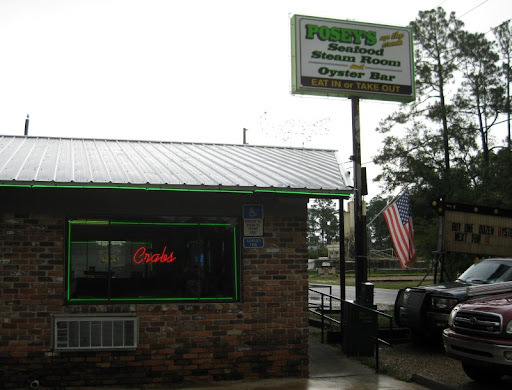 Driving along the Gulf Coast in a rainstorm had us stopping in at Posey's in Panacea, Florida - it passed the parking lot check (lots of vehicles pulled in) and we were hungry. It turned out to be a great impromptu stop. 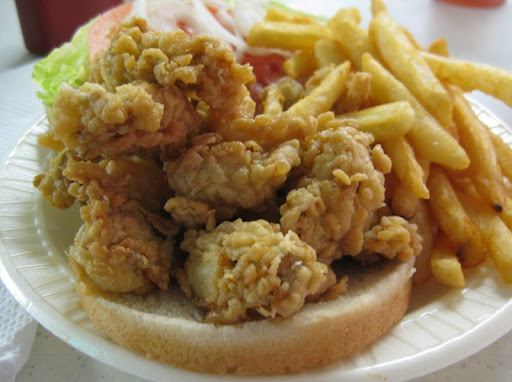 I had the oyster sandwich pictured above. It boasted easily over a dozen oysters - we ate several before we got around to taking a picture. Best fried oysters I've had yet - light, crispy coating on the outside, hot, plump and juicy on the inside. Really, really good. 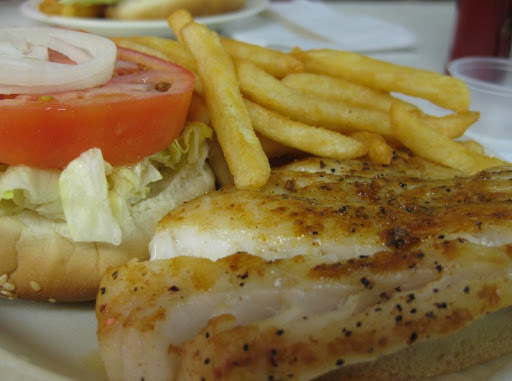 Sherry ordered the grouper sandwich, which was also very tasty - perfectly cooked, nicely seasoned fish. After we had ordered, we noticed that others were ordering plates of oysters on the half shell. For some reason it hadn't occurred to us to order raw oysters. They looked great, and we were in shock when we saw the price - $6 a dozen (about half the going rate in New Orleans). We knew we had plenty of food coming, so we reluctantly decided to resist the urge to order some. Our next stop was in Fernandina Beach, on the Atlantic Coast. Located on Amelia Island, Fernandina Beach has a cozy little downtown area on the inside coast of the island and a long beautiful beach on the outside. The problem was the vibe - full of gentlemen in white shorts and white tennis shoes and ladies in dresses. Very country club. 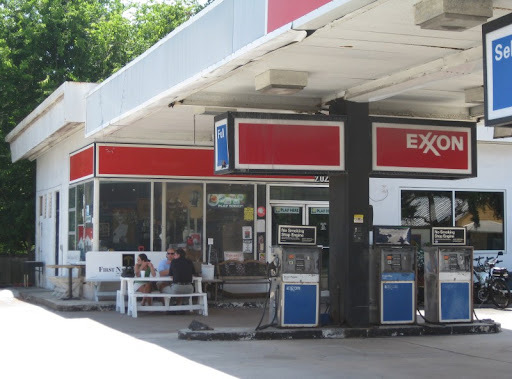 Not even sporting a sign on the outside to help you find it, T-Rays Burger Station lives inside an Exxon. We were hoping for breakfast, but arrived as they were switching over to lunch (we're not early risers, ok?). As we waited for lunch to begin, people started streaming in. Soon, the line was all the way back out the door. 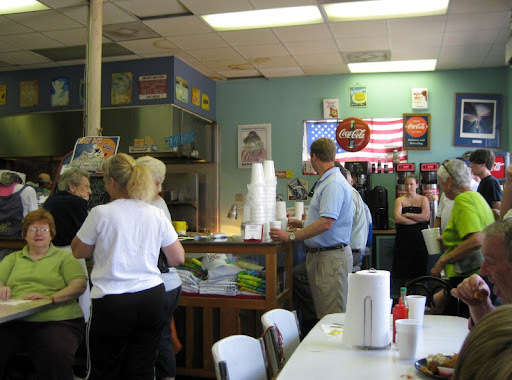 We had a couple of pretty competent burgers and enjoyed the local flavor, with Ray himself bustling around the place keeping everything moving. Smiles on our faces, we got in the car and headed north up the coast. T-Rays has the best burger and breakfast I have ever had. T-Rays is the best stealth restaurant I've run across!